If you spent more than $1 million on a Manhattan apartment in the past five years, you might want to sit down for this. 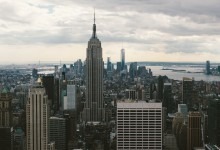 According to data prepared exclusively for Brick Underground by StreetEasy, one in five Manhattan apartments, priced between $1 to $4 million that were bought and sold in the last five years, sold at a loss. That’s a startling increase from the prior five-year period of 2009-2013, when only about one in eight sold for less than their owners paid. Within the $1 to $4 million-price range, smaller apartments were at the biggest risk of selling at a loss, suggests Grant Long, StreetEasy’s senior economist. The two consecutive five-year timeframes (2009-2013 and 2014 through November 21, 2018) compared by StreetEasy correspond to the end of the Great Recession and subsequent real estate price run-up, and the period including and following the market peak in 2014. 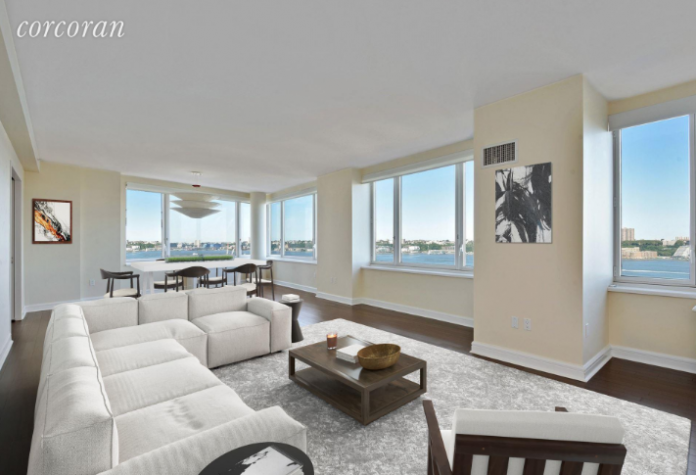 This three-bedroom, four-bathroom condo, 80 Riverside Blvd., #14M., was bought for $4,518,438 in 2013, and sold for $4,200,000 in May 2018. 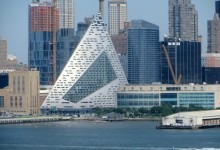 The 2,500-square-foot apartment is in The Rushmore, a luxury building that faces the Hudson. StreetEasy’s Long cautions that sellers who buy and sell within five years may be more likely to be motivated by personal circumstances, like relocation or divorce and thus more willing to take a loss. On the flip side, the sales data doesn’t capture money spent on renovations—or the transactional costs of buying and selling property. 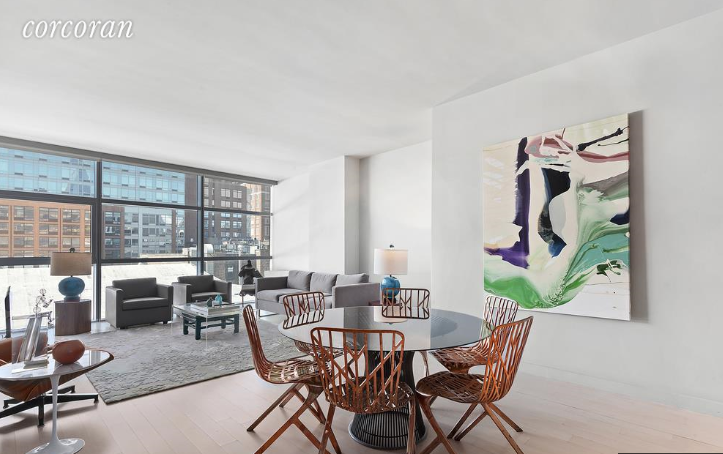 On the border of Chelsea and Hudson Yards, 447 West 18th St., #6C, is a two-bedroom, two-bath condo that was bought for $2,475,000 in 2014, and sold for $2,400,000 in May 2018. It’s in the Chelsea Modern, which overlooks the High Line. 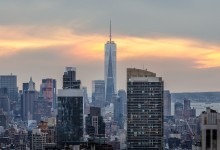 Sellers of Manhattan apartments priced above $4 million faced an even grimmer reality: Of the 287 Manhattan apartments priced over $4 million that were bought and sold between 2014-2018, nearly 39 percent sold at a loss, compared with nearly 17 percent in the prior period. Often when luxury condo buyers become sellers themselves, they are confronted with the downside of today's frothy new development market. That said, Steinberg cautions against looking at real estate investments through a five-year window. “A better evaluation is one that is long-term—after all, most people do not buy and sell in a short period of time,” he says. Plus a short view makes bad decisions appear more prominent: “There will always be people who buy the wrong real estate at the wrong price,” he says. 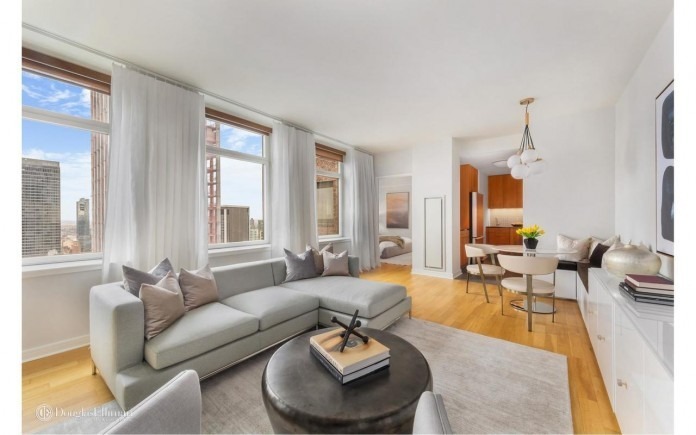 This Nomad two-bedroom, two-bathroom condo, 11 East 29th St., #42B, was bought for $2,062,500 in 2015, and sold for $1,782,000 in May 2018. It’s on the 42nd floor of a full-service building called Sky House. By contrast, in Brooklyn and Queens, where new development has been mostly rentals, resellers in the $1-$4 million category were not only less likely to take a loss than Manhattanites in the same price category, they were less likely to lose money in 2014-2018 versus 2009-2009: In Brooklyn, only 10 percent of apartments in that price range sold for less than their owners paid, versus 14.7 percent in the prior five-year period. In Queens, 17.9 percent took a loss, compared to 50 percent in the prior five years. “It’s like I have been saying for four years, the market is tight at the top,” Miller tells Brick Underground. 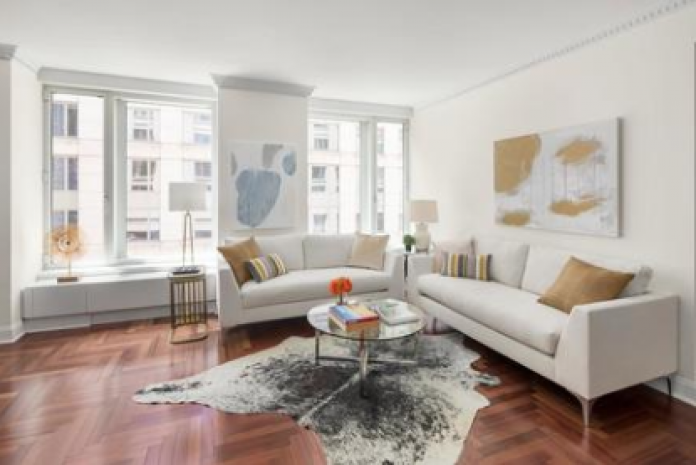 A three-bedroom, two-and-a-half-bath condo, 240 Riverside Blvd., #3LM, was bought for $3,150,000 in 2015, and sold for $2,225,000 in August 2018. It’s in a full-service 2005 building that used to bear Trump’s name in bronze capital letters. If you bought a place for less than $1 million in the last 5 years in Manhattan, Queens or Brooklyn, give yourself a pat on the back (or consider taking up real estate as a profession). Across the board in all three boroughs, sellers of apartments under $1 million were by far the least likely to sell for less than they paid. Only 8.3 percent in Manhattan, 7.4 percent in Brooklyn and 9.5 percent in Queens bought and sold at a loss in the past 5 years. Miller points out that the under $1 million “starter” market is very different in Manhattan vs. Brooklyn and Queens. Brooklyn saw triple the number of sales in this price category, while Queens saw over four times the sales. In recent years, Brooklyn has shifted from a cheaper alternative to Manhattan to being a competitor, while Queens is drawing buyers who are priced out both of those boroughs. But the Brooklyn market is tapping the brakes as of late: Low inventory has ticked up while sales cool in response to rising interest rates and uncertainty caused by the new federal tax rate. This two-bedroom, two-bath condo, 350 West 42nd St., #12G, was bought for $1,380,000 in 2014, sold for $1,268,000 in September 2018. 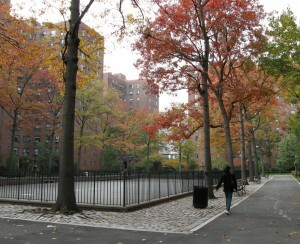 It’s in a 2007 building and the owner gut renovated the apartment. 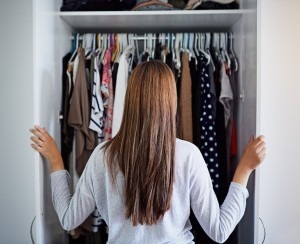 Buyers: When evaluating listings, check the last price sold to see whether the seller may be selling at a loss and factor in transaction costs (such as broker’s fee and closing costs) and any improvements they may have made to the apartment in the past few years when you’re setting your offer. If you’re looking to low ball, you may do better by focusing on other, longer-held properties where the owner will walk away with a profit. On the other hand, if someone is selling at a loss, they may be more desperate/motivated to move quickly. Owners in at-risk categories: You might want to table thoughts of selling in the next few years unless you have to. This could instead be a good time to renovate—invest in your property to position it to better compete with new condos—for example, by installing central air and a washer/dryer in the unit. If you’re thinking of refinancing, be aware that the appraisal may come in lower than you think. Sellers in at-risk Manhattan price segments: If you must relocate, considering renting your place out for a couple of years instead of selling right now. (However, you should be aware there’s tons of competition in the higher-end rental market, so your asking rent needs to be competitive while being high enough to avoid a loss on your carrying costs). If you can’t put off selling, steel yourself for a possible loss and make sure your Xanax prescription is up to date before negotiating with a buyer. 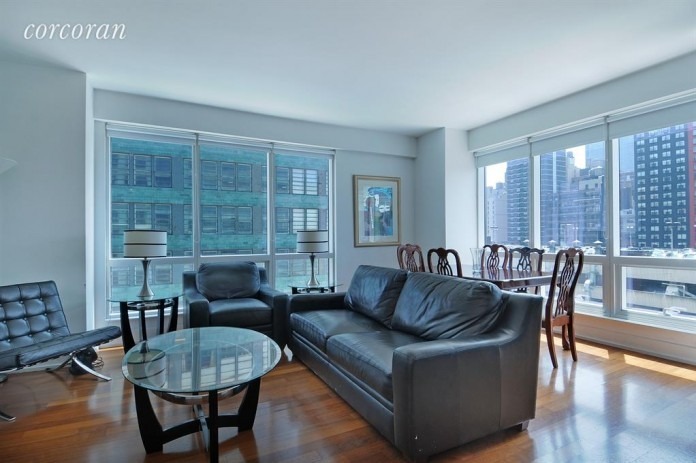 Unsure what your apartment is worth in a buyers' market? 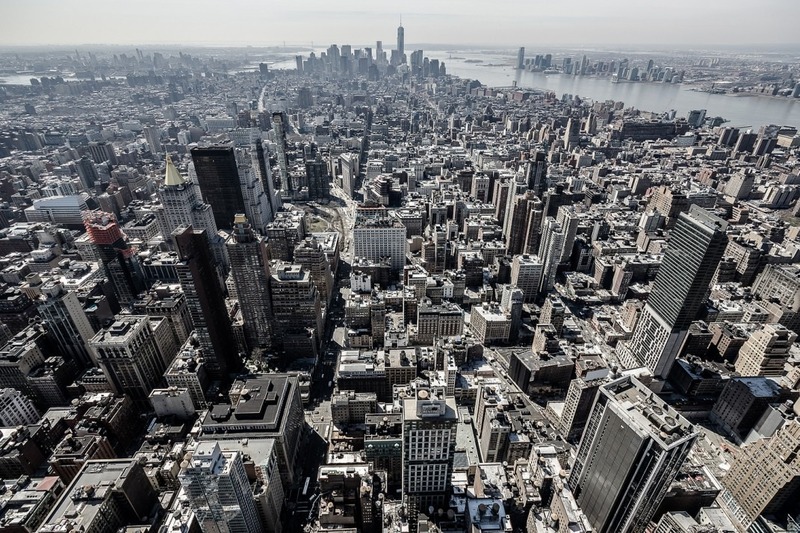 Before you list your place publicly, test your price quietly among real-life, qualified buyers via the pre-marketing program at New York City real estate brokerage Triplemint. There's no charge to participate, nor any obligation to enter a traditional listing agreement if your place doesn't sell during the pre-marketing period. Click here for more information.